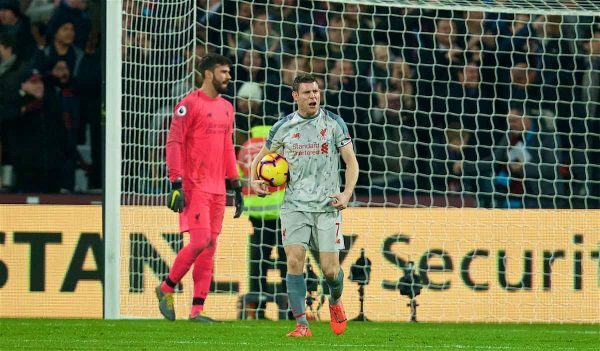 Liverpool relinquished two valuable points in the race for the Premier League title after being held to a draw at West Ham, leaving fans with plenty to discuss after the final whistle. 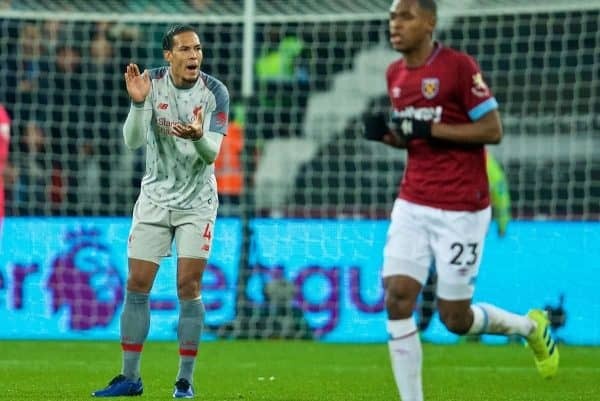 The Reds dropped two points from a winning position for the second consecutive game after recording a 1-1 draw with West Ham on Monday. Jurgen Klopp‘s men were far from their best in the capital as sloppy defensive work from a set-piece proved costly again as Michail Antonio pounced to cancel out Sadio Mane‘s opener. The result ensures Liverpool remain top of the Premier League with a three-point buffer, but it was a performance which raised a number of talking points. 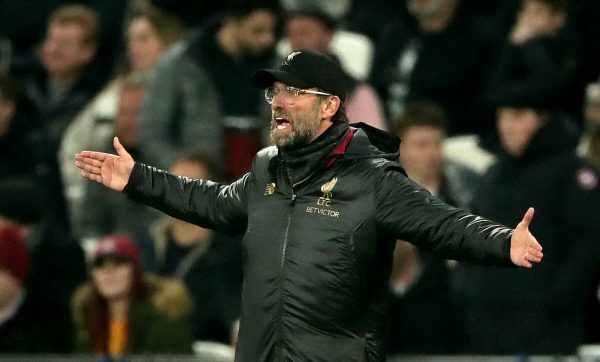 This Is Anfield’s Joanna Durkan (@JoannaDurkan_) spoke to Matt Addison (@MattAddison97) and Ben Cropper (@croppersports) to delve into the positives and negatives from the encounter and discuss if the pressure of the title race is starting to tell. Joanna: To be honest positives were hard to find for this one, West Ham had a clear game plan and Liverpool never really got going. 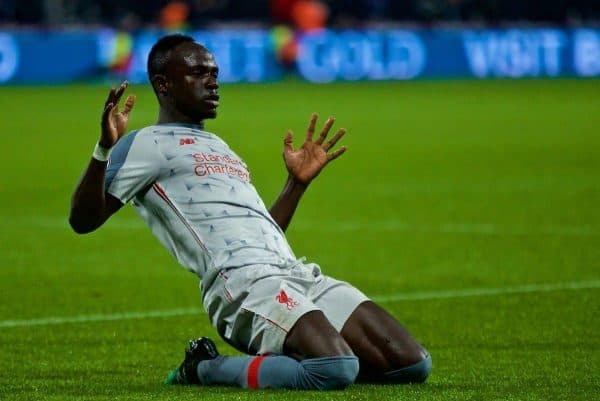 I thought Sadio Mane was the standout on the night and looked the most likely to make things happen, and for the most part appeared to avoid the staggering amount of sloppiness which plagued a number of his teammates. His goal may have came with a slice of good fortune but it was his third in as many games, and with the Reds struggling to carve out clear chances he is finding his range at the most crucial of moments. On the bright side, the Reds remain in the enviable position at the top of the table with 13 games left, a position I’m sure we all would have taken at the start of the season. Matt: For me, Adam Lallana was a positive – his footwork for the goal was a treat even if James Milner was offside. If he can stay fit for a few months (big if, of course), that would be a big help between now and May. He’s not going to be the first name on the teamsheet as he once was but he has the potential to offer a lot when he’s not sidelined with injury. Other than that, there were few obvious positives to take in terms of individual performances. It should be viewed, however, as a point gained – if someone had said in August we’d be three points clear at the summit in February, we’d have all taken that. Ben: In all honesty, it’s hard to pick out many positives from such an under-par performance. The only saving grace is that despite performing so badly we didn’t lose. The build-up to our goal was an excellent bit of interplay, albeit if VAR was in operation this season the assistant referee would’ve had his blushes spared and the goal would of been correctly disallowed. James Milner was clearly at least three yards offside before he played the ball into Mane, who showed sublime composure to work an opportunity for himself, spinning and finishing expertly low into the corner. I also felt Fabhino was one of very few positives on the night, our midfield looks so much more composed with him in the centre of things. His growing influence on proceedings must not be underestimated but a lot of his best work goes relatively unnoticed. In a game where the rest of our midfield offered very little protection to the uncharacteristically, shaky defence; he offered great security. Joanna: Across the board Liverpool were simply not at the races. Maintaining possession seemed nigh on impossible and there was a lack of control in the midfield, most notably in the first half, from a physicality standpoint and being able to dictate the tempo – something which was lacking in the absence of Gini Wijnaldum. Injuries certainly haven’t helped, but the defence was again vulnerable and unorganised, and they had me pulling out my hair too many times for my liking having failed to address the glaring deficiencies on set-pieces. And it’s what makes the lack of chances being created at the other end even more alarming as earlier in the season it was what set the Reds on course for a win off the back of a clean sheet – which we have only have one of in the last seven games. Matt: There were a few things, but the big thing for me was the lack of chances that were created. 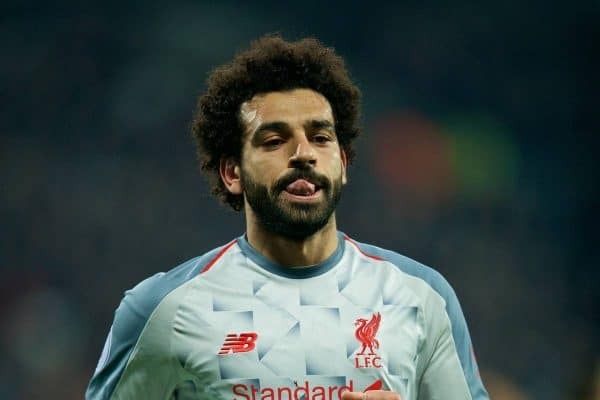 Just like against Brighton and Leicester, chances were not exactly flowing in the game, and the low block defence successfully blunted Mane, Mohamed Salah and Roberto Firmino for large periods. Firmino, in particular, was well off the boil, as was Xherdan Shaqiri when he came on. Hopefully, with Bournemouth – hardly a team suited to sitting in deep – coming to Anfield on Saturday, the players can find some attacking rhythm again in that match to take into the next few fixtures. Ben: Where do I start? Overall, this was probably our worst league performance of the season and the first sign that Manchester City’s pressure may really be beginning to be felt. The first thing to pick out rather obviously was our non-existent defending from set pieces. Even the commanding presence of our record signing didn’t seem to mean that we had the necessary nous to deal with what were at times elementary situations. Having been undone by routine free kick scenarios previously, you would expect us to learn from our mistakes! All of our defence seemed to get caught flat-footed for their goal and I’m not sure whether it’s a case of one person switching off or a complete breakdown in communication. Keita should never be outmuscled so easily and create such a gap between himself and the runner. Conversely, you could argue that Andy Robertson is the one tasked with picking up Antonio and should, therefore, be able to run around on the cover. Our entire defensive line was at times statuesque and would have been more acceptable in Madame Tussaud’s than the Olympic Stadium. The impact of our substitutions should be questioned as well. I still feel that even though Divock Origi was offside, you have to play to the whistle and he should of have done better with his tame last-gasp opportunity. Arguably, given our position in the title race, a goal here would have been more significant than his winner in the Merseyside Derby. It’s hard to keep putting pressure on new signings who may take time to adjust to the pace of Premier League football. 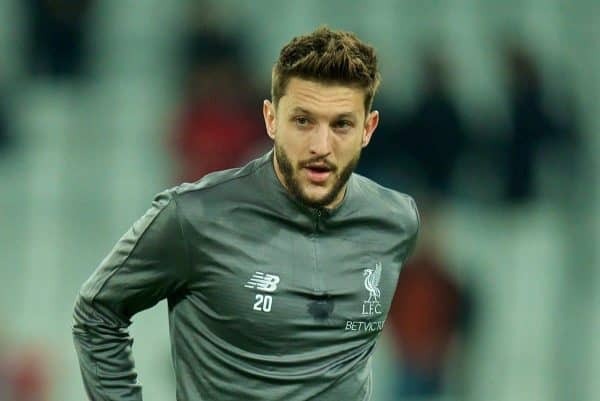 However, for the money we paid and the reputation he came with Keita should be offering us more. I still think he’s been played out of position and struggling to find a place in our formation. He wasn’t helped by a few niggling injuries early on this season, which have hindered his consistent selection. We must all be patient with him and hope that he comes good eventually. A slight tweak to his position to give him less defensive responsibilities, allowing him to make those marauding late runs into the box that he was notorious for at Leipzig. …and is the pressure at the top starting to get to Liverpool? Joanna: For me there’s no doubt that the Reds have lost a bit of their conviction and belief in recent weeks. Pressure manifests itself in a multitude of ways, and while I don’t think it’s time to ring the alarm bells, I do believe nerves associated with our position are coming into play. The tension is creeping into Liverpool’s game, but the Reds were always due for a dip in form and injuries have not been kind in changing our fortunes – but, to get through this period without defeat could instead prove uplifting. 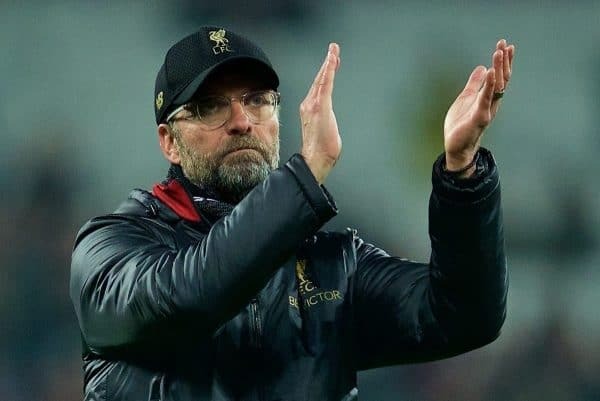 Another test is to await on Saturday as the Reds are likely to head into the clash against Bournemouth in second place, and that will prove to be another barometer of the team’s mental fortitude. Matt: It’s too easy to say that the pressure has got to Liverpool. Of course, the national media narrative will suggest that, because that’s what makes a big story, but the reality is we have played two very capable teams and remain in a good position at the top despite having lots of injury problems. Both Leicester and West Ham have players like James Maddison and Felipe Anderson who you can see playing for top-six sides next season, so drawing with them is no disgrace. If the Reds don’t get the three points against Bournemouth, perhaps we can have the pressure debate then – not yet, though. Ben: There’s no doubt that Liverpool will be starting to feel pressure that the majority of the squad have seldom experienced before. Klopp knows what it’s like to be in a title race, having been there before with Dortmund. This pressure, however, is an entirely different beast. It could still be argued that the majority of the Premier League don’t want Liverpool to be victorious due to concerns they might be able to create a dynasty similar to the one that Ferguson created at United in the ’90s. The few players that remain from the Brendan Rogers era must now channel that pain in the correct way to ensure a similar capitulation doesn’t happen again. Experienced leaders like Milner and Henderson must now stand up and be counted. The injury to Joe Gomez may prove significant, depending on how long he takes to recover from his operation. We look a far more solid outfit with him partnering Virgil Van Dijk at the back. Wijnaldum’s rapid return from injury is also a necessity, he’s rapidly becoming indispensable to Klopp.